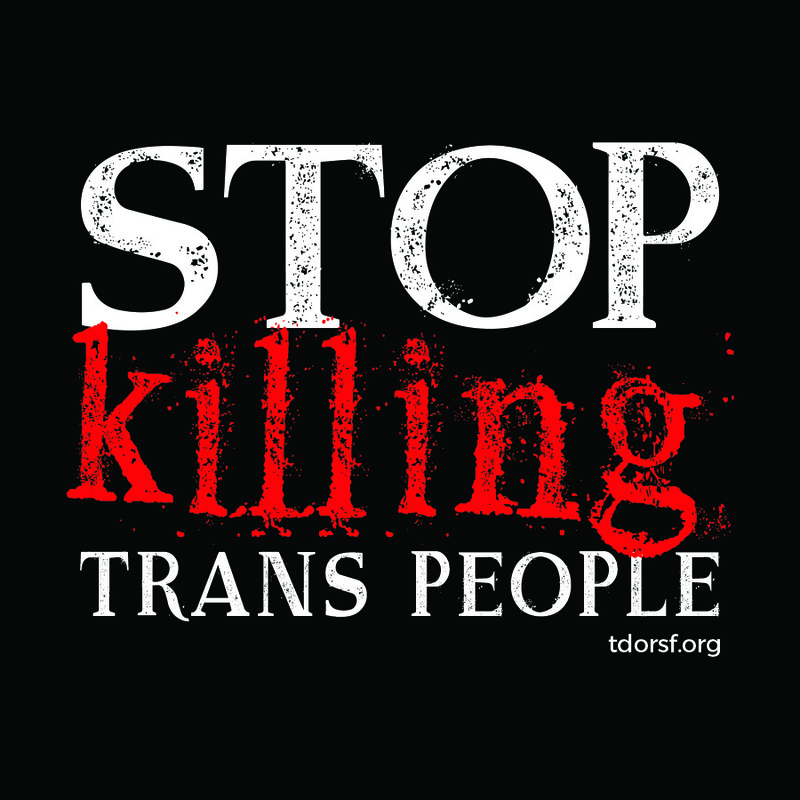 In 2016, at least 249 trans and gender non-conforming people were murdered as of 11/20/2016. Many murders aren’t reported or are misreported due to fears of retaliation and lack of action by authorities, so the real number is likely higher. 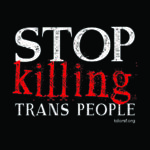 The overwhelming percentage of the murders are of trans women of color. In the US, almost 90% of the murders were of trans women of color. That’s ridiculous. Those stats sound overwhelming and they are, but there are things you can do to help. Here’s a short list. Speak out. Trans and gnc people face tremendous amounts of discrimination and harassment every day. Many times, no one gets involved when they see something happening. Don’t be that person. If you see something happening, speak out and do what you can to help. Anything from hearing an acquaintance use a slur casually to seeing a trans/gnc person being threatened. If you see it, do something about it. Donate to trans serving organizations. There are many great organizations doing the work to both stop the violence and help trans people who are still here, and all of these orgs need funds to operate. There are large organizations like Transgender Law Center and tiny ones like TAJA’s Coalition, so you should be able to find an org that you like to help. In the past, much of this money has come from grants and individual donors, but after the US election, it’s feared that a lot of this money will go away. Please consider helping out monetarily. Volunteer. In addition to money, most of the orgs doing the work need people power to help make things happen. Whether it’s something like volunteering with TGIJP to respond to letters from incarcerated trans people to helping Trans March make the event happen to getting involved in one of Trans Employment Program‘s many events, there are lots of tasks both big and small you can assist with. Attend events. Aside from TDOR, there are many events you can attend that happen annually. Trans Day of Visibility happens every March 31, Trans March happens the Friday before Pride in June, and Fresh Meat Festival happens the week before that. All these are in SF, but there are many that happen around the world and there are many more in SF that we haven’t listed. Be visible. A lot of trans and gnc people are very scared about what the results of the US election are going to mean for us, so it’s a really scary time. If you’re relatively safe doing so, be visible. The more we normalize trans people, the less scary and unknown we’ll be and the less we’ll be hated and feared. Visibility is very powerful. And, allies, this means you, too. Wear shirts and buttons and things proclaiming your love and support for trans people. You can get a I <3 trans people shirt here until December 2. What did we miss? This is not an exhaustive list, so what did we miss? Tell us your ideas as well and we’ll update this post (but maybe not today since we’re all busy making TDOR happen, but certainly after).